I was watching Ayat-Ayat Cinta last night with my better half. She had wanted to watch it at a cinema but we did not have the time. So we decided to get the DVD and watch it at home. 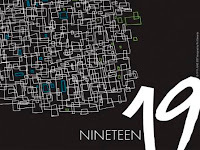 I knew it was a love story and I am not always crazy about love stories but you can get hooked and I did with this one. This is the second of two love movies that I got hooked on. The other one I got hooked on was "PS I Love You". It was the fourth consecutive movies that I watched while flying from Singapore to Dubai on the way to Iran and I did not finish the movie when the plane landed. That was the first time, I watched a movie until the plane docked. I was sitting in the Business Class and the stewards let me watched the movie until the plane stopped. On the way back to Singapore, I completed it. I was on the way from the Trandie Marina Resort, Batang Duri Temburong where we held our ministry's leadership and strategic planning session, when the sms from Cuboiart came through my phone. In Trandie Marina, you cannot receive any call as there was no DST signal. We had to drive a few miles away before you can get any mobile phone reception. Anyway, on the way to the mosque for the Friday prayer, I had a few sms which arrived the moment my phone was able to receive messages. One of them was Cuboiart's telling me that the cartoon was now in print in Borneo Bulletin. I knew about the cartoon much earlier as I asked Cuboiart whether he can draw me a cartoon which I wanted to keep for myself about BR. 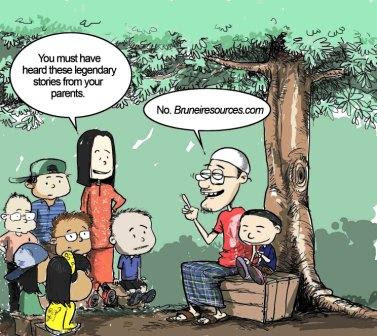 When he sent me the cartoon, I laughed my head off and thought to myself, there is no way Borneo Bull was going to accept this as the cartoon was too focused. But Cuboiart tried and there you are. It got printed. How many of us realised that the population of Brunei in 2008 was around 398,000 just 2,000 short of the 400,000 population? 276,600 of those people are squeezed in the smallest district of Brunei-Muara and out of that number, 265,100 are Malays (Chinese made up 43,700), 105,300 are below the age of 20. More than 2,000 of us got married the year before with about 1,900 in front of a Jurunikah. We gave birth to more than 6,000 babies last year but more than 1,100 Bruneians also died last year. Our unemployment rate last year was a reasonable 3.7%. Our GDP last year was more than $19,000 billion thus making each one of us having a per capita GDP of $49,800. That sounds large, doesn't it? But our growth rate last year was a mere 0.4% and our population grows by around 2.1% - this will mean our per capita GDP will become smaller in the future. There are 110,000 of our young ones in school last year from kindergarten to universities taught by more than 9,300 teachers and lecturers. Last night my better half and I were at our son's annual school concert as well as the graduation ceremony for the Primary 6 of his school. I saw many of these parents with fancy cameras armed with fantastic distance zoom lense or the latest video cameras, all of them no doubt very happy that their primary school children will now be entering into secondary school. Indeed Yayasan as a school has something to be proud too. More than half of their Primary 6 cohort scored 5As in their PSR. "61. The school at Tutong proved unexpectedly popular and efficient. Tutong children appear to be generally more intelligent than the Bruneis." I am not trying to generate an inter-district rivalry but it is certainly interesting to note such a comment and coming from an outsider. Of course in those days, there were not many children going to school. Up to 1920s, the British Resident was still arguing that compulsory education would not be popular. In fact, schools in Belait and Tutong only opened the previous year in 1918. And by 1919, the Tutong children impressed the British Resident so much that he put that in his report. I was surprised when I saw this item on e-bay. The note being auctioned is the lower one. 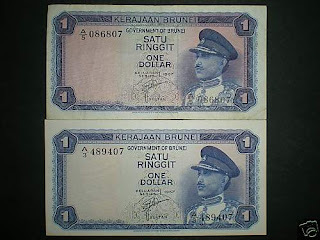 Someone in Malaysia is auctioning this note for US$250,000! Over the last week, I have been spending my lunch times at motorcar dealers' showrooms. I have a 7 year old Mitsubishi Pajero with low mileage of about 129,000 km only. I only used the car at weekends and mostly in the country. I have not been to Miri or Limbang since 2001 I think. Anyway, as I grow heavier, it is getting harder to get into it (too high) and since I also have a policy of not keeping cars beyond its seventh year, it is time to let go. 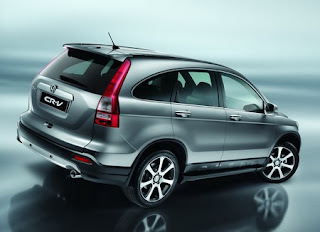 I have opted for a mid range SUV rather than the full blown version and I have finally settled on this beauty. It is not the top range as my driver says I should get a Lexus at least for 'my ranking' his words not mine. I told him that rankings don't put food on the table as a Lexus cost almost $40,000 more. I arranged for all the senior people from Minister to Directors for a breakout executive session next week. We will be staying at Batang Duri for an overnight stay for a team building session as well as leadership and strategic planning session. Since the announcement, I have heard a number of stories about Belalong which I have to tell the story tellers that we are not going to Belalong but only to Batang Duri. That spoiled the fun as nobody has come up with stories about Batang Duri. Anyway, I heard this story the other day as part of a too many spooky tales this week and I thought I will tell it here as it is the most interesting I heard. There was this elderly couple, husband and wife driving quite late at night. It was drizzling. While driving they saw a young lady standing on the roadside and they debated whether to stop and help her. The wife against but the husband was sympathetic. Since it was the husband who was driving, he stopped. 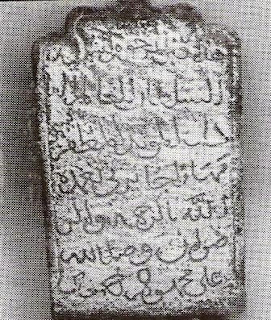 One of the problems with Brunei History is that it is an ancient state. An ancient state with complete records is okay. It is an ancient state with incomplete record. For instance, according to Chinese records, Brunei as a country had been sending tributes and keeping diplomatic relations with China as far back as the year 515. We have no idea who the kings were and what the country looked like then. We are not even sure where the capital was, other than the Chinese records saying it is at the mouth of the current Brunei river. Last Sunday while I was competing in the colouring competition during the World Town Planning Day, my 8 year old son called me. He was excited about a 'mickey mouse' which he had just bought at his school's fair and he wanted me to get him a cage complete with drinking water etc. 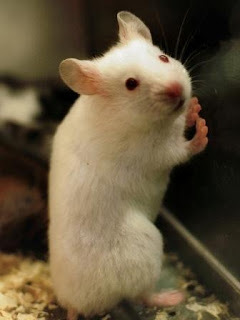 I was quite surprised as I hadn't heard him say anything about pets, let alone mouse, over the last few days. Normally he would have said something and I would know something is up. Apparently the school's fair had been going on over the last few days and many of his friends had each bought a mouse to bring him. That guy selling him is certainly making a killing. About a couple of months ago, I was at MIPR for discussion on our paddy productions. Paddy or padi in Malay is now an important topic since His Majesty's decision that we should not be dependent on other countries for our rice supplies. Why am I involved? Production of paddy requires two things - huge tracts of lands and enormous and copious amount of water. Without these two items, you cannot hope to grow rice. On the last day when we were in Nanjing, we managed to squeeze in a vist to the Ming Xiaoling Mausoleum where this one housed the tomb of Emperor Zhu Yuanzhang. Emperor Zhu Yuanzhang, I was convinced, was the last Emperor of China to meet Sultan Abdul Majid Hassan before he died in 1408. 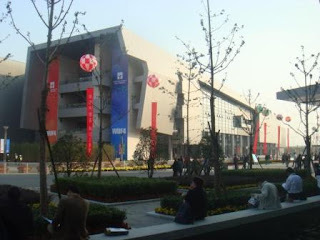 This place has been recommended as a 'must see' place in Nanjing. Anyway what I did not realise was this tomb area was huge, and when I mean huge, I mean really really huge. The mausoleum lies at the foot of Purple Mountain. It took more than 20 years to complete and the original wall of the mausoleum was more than 22.5 kilometers long. They don't talk about meters here but kilometers. I love Cuboiart. His cartoon is succint and really really straight to the point. This one came out yesterday on Borneo Bulletin. How do you copy sms results? 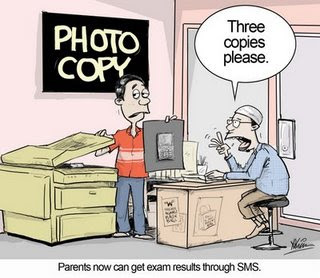 With MOE's recent service of getting sending sms to parents to get exam results, many parents are now able to get their children's results much faster. The only downside to this is that you don't know anyone else's results. Which is good. But being kiasu parents, there is always this nagging curiousity of how well your child did against other children. 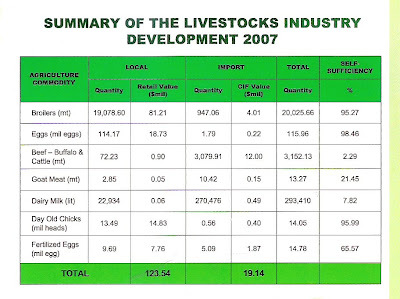 Not to mention, one of my colleagues was saying that there is also a downside to sms results. His heart goes kabak-kabak everytime the sms signal was heard. Congratulations to all who passed their PSR! Today's entry is more or less my diary entry for the day. This morning, we were at Town and Country Planning Department for this year's celebration of World Town Planning Day. What is it? WTPD is a day that celebrates planning to boost awareness and change the public's perception of planning. It is actually held on November 8th. Who knew? For my TCP colleagues, did you know that historically World Town Planning Day was founded in Argentina by Professor Carlos María della Paolera in 1949? He also founded the Instituto Superior de Urbanismo at the Universidad de Buenos Aires. His aim was to "advance public and professional interest in planning both locally and abroad" and create "a special day to recognise and promote the role of planning in creating livable communities." I have to go to Kuala Belait today for the Hari Perkhidmatan Awam there. A speech and then give out 92 certificates to retired civil servants. Despite Kuala Belait being only 60 odd miles away, a distance most other non-Bruneians would consider as spitting distance, I find it far. My grandfather was working in Kuala Belait when I was very young and we as a family goes down there every week or so if I remember and everytime we go there, it would take us well over an hour before we get there. I have always remembered KB as being really really far. Even now, when we get there under an hour, my brain still tells me that we are now in KB, very far away from Bandar Seri Begawan. When I was still in school, I used to wait for a Lat cartoon in the Straits Times. 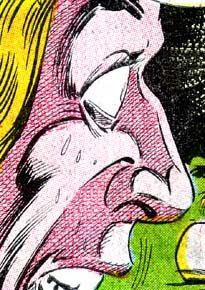 Lat did not draw everyday but the moment his cartoon comes out, I would know what it was. Even silent cartoons without words would still make me smile. Today I don't have to wait for Lat. We have our very own Lat in the form of cuboiart. Mr. Cuboiart gets my vote for being Mr Lat of Brunei. Yesterday's cartoon in BB was a classic. You know it. I know it. Everyone knows what the cartoon is all about. Prices go up because some other prices went up. 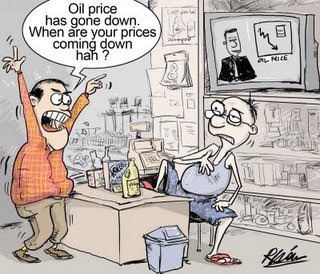 In this case, price of oil. This economic phenomenon of sticky prices is interesting. But it is sticky going downwards but has not much resistance going upwards. The only announcement so far is the airlines lowering their extra high fuel surcharge. 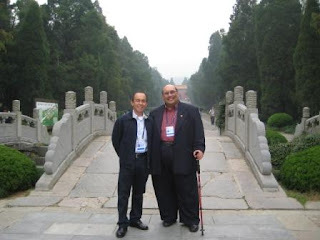 When I wrote the article on Sultan Abdul Majid Hassan who died in China, unfortunately I did not have any Brunei reference articles with me. So I concentrated the article on the actual discovery of the tomb and its subsequent restoration. Now that I am back in Brunei, I am able to continue to do further research on the matter. The simplest read is the History of Brunei in Brief written by Pehin Jamil, the Principal of the Brunei History Centre. 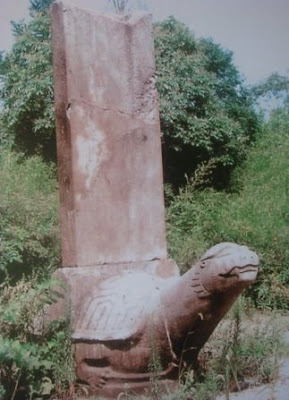 ABOUT 50 years ago, on May 12th 1958, villagers at the Village of Yinxi at Yu Hua Tai District, a few kilometres away from the city of Nanjing in China discovered a relic in a nearby forest near a hill. It was a giant tortoise with a giant tablet on its back. This discovery however was not that unusual. The City of Nanjing was the capital of many of China's dynasties including the modern government before the capital was moved to Beijing in 1949. So it is not surprising that historical relics were discovered every now and then. The tortoise too was not unusual. In ancient China, the tortoise was a sacred animal. Followers of the philosopher Confucius considered it one of the four spiritually endowed creatures, along with the unicorn, phoenix, and dragon. In Taoist philosophy, the tortoise symbolises the universe. Its domed shell represents the heavens, and its flat underside, the earth. 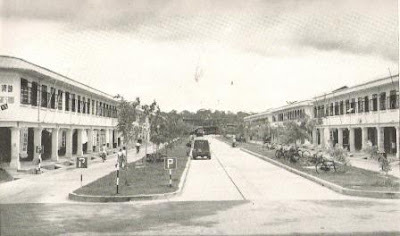 Old Brunei photograph. This means I am back in good old Brunei. This photograph comes from the Brunei Annual Report of 1954. 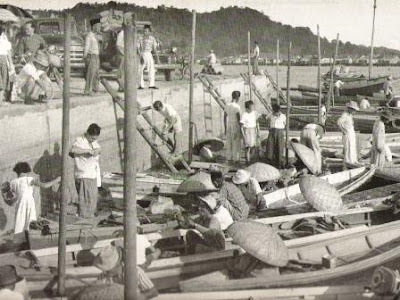 So this photograph was taken when the town wharf was still active with padians and pengalus selling their wares. I remembered writing about the Pengalu when I was in Moscow. Some of my Golden Legacy articles were written when I travelled abroad. It fulfills my evenings especially when you are in a country where the only thing to watch on TV is CNN and in some cases CNN with BBC. Moscow was not exactly a place you can go out easily all by yourself. But neither is their internet charges friendly so you can't surf the net when you stay in. Mine cost around US$45 per whole day session. 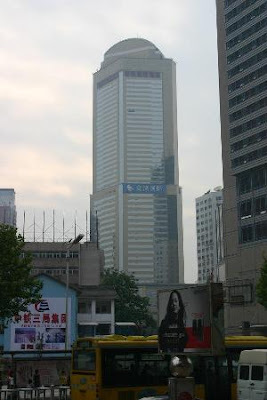 My recent stay in Nanjing was 60 Yuan a day so that makes it around $15 our money a day which is reasonable. Singapore's Hyatt Hotel charges around $35 a day. The 4th UN World Urban Forum is winding down. Today will be the last day. While it has been an interesting place for practioners from around the world (more than 5,000) to come and talk and listen to other people, I can't help but think how advanced Brunei is compared to some of the problems I have been listening to. I know there are many things to be done and much expectation to fulfill but seriously we are still better than say three quarters of the world. But then everyone wants the best and that is something that my colleagues and I working to fulfill. 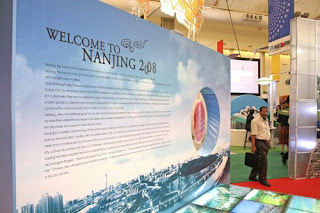 The Nanjing International Expo where the Forum is held is about 40 minutes drive from our hotel which is in the city centre. My views of Nanjing are limited to what I can see from my hotel room and what I can see on the drive to the Expo. I can't see much on the drive back as it is already in the evening (we finished at 6.30 pm everyday). 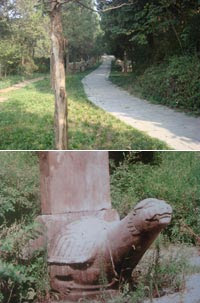 About 50 years ago, villagers at the Village of Yinxi at Yu Hua Tai District, a few kilometers away from the city of Nanjing discovered an relic in a forest near a hill. It is a giant tortoise with a giant tablet on its back. This discovery however was not that unusual. The City of Nanjing was the capital of many of China's dynasties including the modern government before the capital was moved to Beijing in 1949. So it is not surprising that historical relics were discovered every now and then. However when historians read the tablet, they were shocked to discover that the tablet was describing the tomb of a king from another country, the King of Poli who died in China in 1408. More relics were discovered and the tomb itself was discovered. Work was started for the whole site since 1958 and improvements have been made. Greetings from Nanjing, host of the 4th UN World Habitat Forum which I attended the opening ceremony this morning and two sessions on housings in the afternoon. The opening ceremony was fun with a number of performances in between the speeches. Something which we have not or maybe will not be able to do back in Brunei. I walked through the exhibitions or rather quickly walked past most of the exhibits stopping only at the stalls which had documents which is of interest to my work such as UNHabitat etc. One Chinese stopped me to take a photograph with me. This is not unusual, I have this knack of people wanting to take a photo with me. I have a bunch of photographs in Iran when a group of Iranian students stopped me to have a photograph with me. In Vietnam too. Must be my superplus++ size... Anyway, among the stalls, I was quite surprised to see one particular stall which was highlighting the plight of the Muslim Turks in Greece. Greetings from the 46th Floor of my hotel in Nanjing. Finally got here this afternoon. I was a bit apprehensive coming to a place where our embassy representative is not around (and yes, I appreciate what my colleagues at MOFAT do). Anyway, got off the plane and walked out on what turned out to be a very modern airport and at the immigration counters saw special lanes for us participants of the 4th United Nations World Urban Forum organised by UN Habitat. No hassle, the officer smiled, chopped my passport and return it as quickly. The bags came out efficiently. The customs officers just look at us walking through the green lane. The hotel reps were waiting and we were told to register for the Forum right at the airport and got our passes already. 40 minutes car ride to hotel, whizzed to my room and here I am typing this just a few minutes later. I have certainly been underestimating the Chinese here. 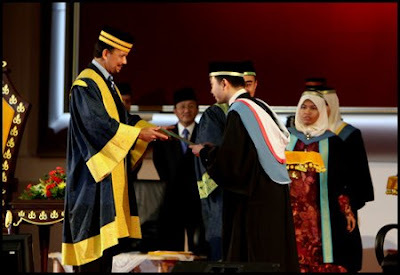 My heartiest congratulations to all those who graduated from UBD last Thursday. And my hearties congratulations too to His Royal Highness Prince Malik for getting his BA Education Studies yesterday. He got a 2nd Class Upper too. I was there to watch it and I have to admit I thought at first it will not be as exciting as I did not have a single family member graduating. But watching all the excitement and everyone having a good time, it does remind me of the time when I graduated many years ago. Apparently a graduation ceremony is still as enjoyable even when there is no family member graduating. Prince Malik enjoyed it more. His siblings were there to watch him.